Last year I came up with this last minute idea for a unique twist on my presentation of twice baked potatoes. As you have heard me say before "love is in the effort." Now that being said, it took me five minutes to make the hearts but the effort was in thinking out of the box on how to make my husband's dinner extra special. Sure you can buy a Hallmark card or a dozen roses (which will cost you more than these gourmet potatoes) but how creative is that? You get what you give so give your heart on a platter this Valentine's Day. 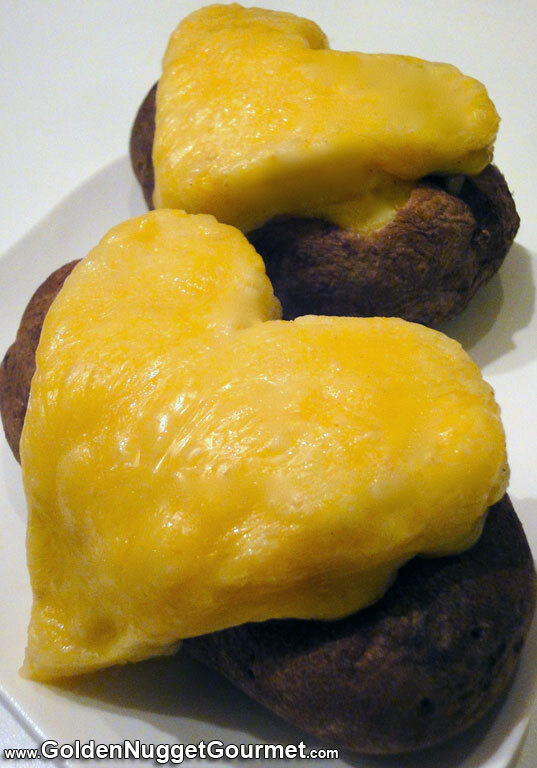 These Valentine's Day twice baked potatoes are extremely easy to make. Just shape the potato mixture into a heart, place cheese on top, and bake as usual. Happy Valentine's Day! I would love to get a pic of your Valentine's potatoes.